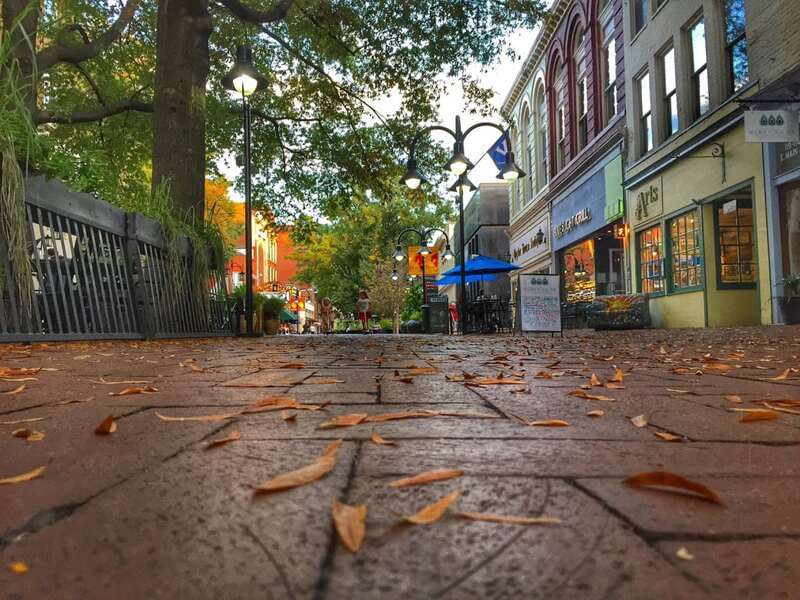 While the Downtown Mall is lovely any time of year, it is especially beautiful during the autumn months. The large, mature oak trees that line this pedestrian walkway explode with colors beginning in mid-October, much to the delight of all who come to this historic avenue to take a stroll, go shopping, or grab a bite to eat. Sip on some warm hot chocolate from Splendora’s or grab a hot cup of coffee at Mudhouse and leisurely walk up and down this historic street, while taking in Mother Nature’s fall splendor! 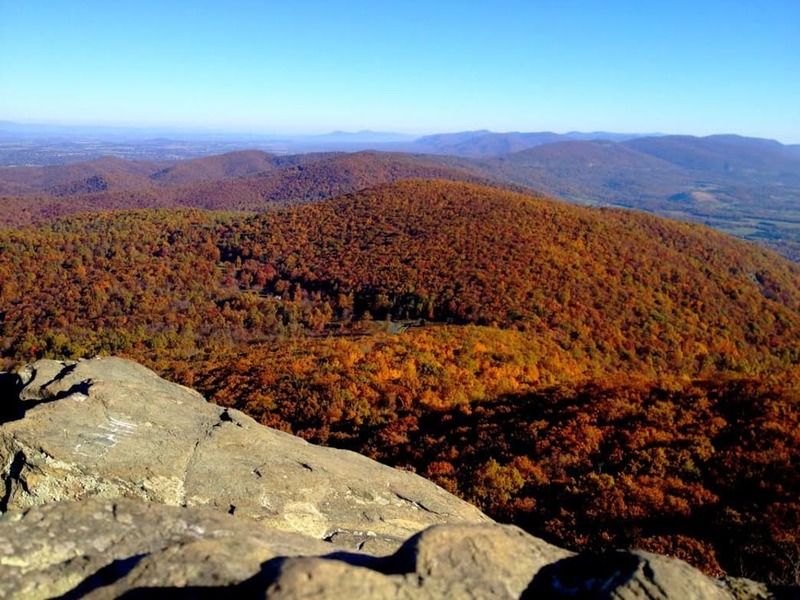 Located a short and scenic 30-minute drive from the Downtown Mall is an entrance to Shenandoah National Park, one of the country’s most splendid spots for viewing fall colors. 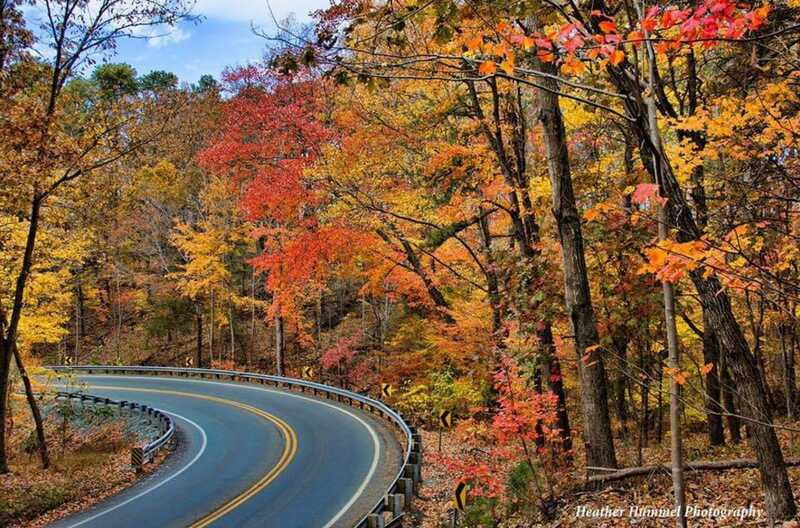 Drive the twists and turns of Skyline Drive, while soaking up the fall colors on Central Virginia’s rolling Blue Ridge Mountains. Pull off at one of the many overlooks for picture-perfect photo opportunities. Or head south along the Blue Ridge Parkway where you will also be greeted with plenty of opportunities to pull over and gawk at color, hike to the top of the highest hills, or just simply bring a picnic lunch and let yourself be mesmerized by the beauty below. Colors here change a bit faster due to the higher elevation, so be sure to plan accordingly, so you don’t miss the peak colors! Did you know the Charlottesville area has more than 30 wineries? Did you know that Wine Enthusiast also named the Charlottesville region as one of the top wine destinations in the world? Finally, did you know that these picturesque vineyards are even more beautiful when the leaves start to change colors? Come visit one of these beautiful properties while you sip your favorite Chardonnay, Pinot Grigio, or Merlot (many of which have national and global accolades) while staring off into the distance and admiring the fantastic fall foliage in the heart of Central Virginia’s wine country. So far, all of the fall foliage viewing spots mentioned have been down on the ground. However, sometimes it’s good to change your perspective, so why not see things from up above in a hot air balloon? It’s amazing how different things look when viewed from above and the views of colorful trees from way up high are sure to take your breath away. There are several hot air balloon companies that provide these types of services and you can even do a ride at sunrise or sunset as the golden hour light shines down on the gorgeous colors below. This is sure to be an unforgettable experience and a completely different and unique way of taking in the Charlottesville area colors! Over the last few years, several rooftop bars and restaurants have come bursting on to the scene in the Charlottesville area. 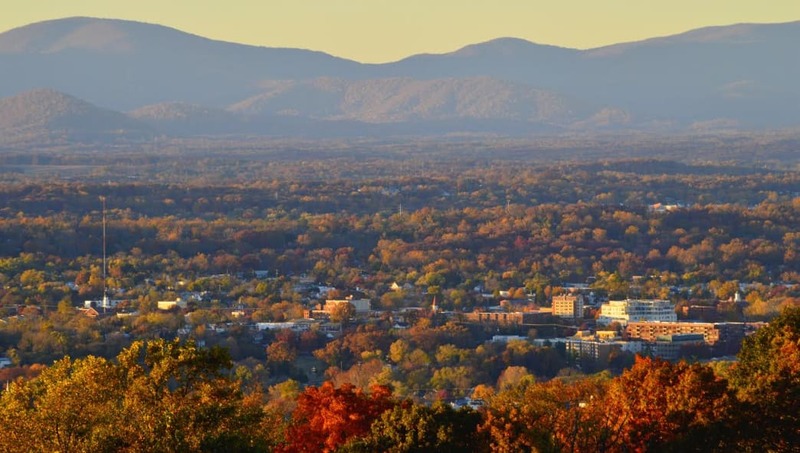 In addition to featuring delicious food and drink, they also serve up some of the best views of the city of Charlottesville and Albemarle County. Try Heirloom, a rooftop bar and restaurant located within the Graduate Hotelnear the Grounds of the University of Virginia, where you’ll be treated to panoramic views of Charlottesville and the surrounding Blue Ridge Mountains. Or head out to The Rooftop in Crozet for more views of the Blue Ridge Mountains that are sure to leave you speechless! Last, but certainly not least, Carter Mountain Orchard is extremely popular among visitors and locals alike during the fall months – and for good reason! 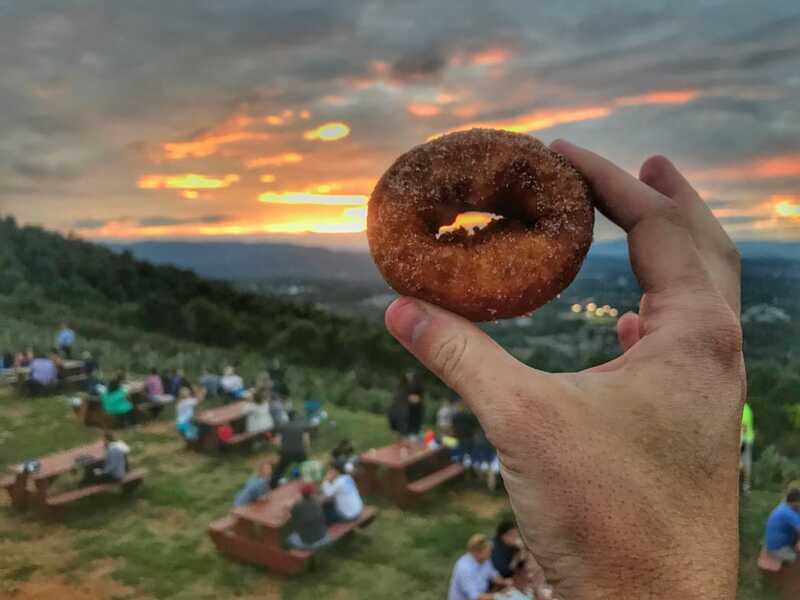 Not only can you pick apples straight from the tree, but you can enjoy scrumptious apple cider donuts, sip freshly-pressed cider, sample wines and hard cider, go for a hay ride, pick a pumpkin, AND enjoy some of the most awesome views of the Charlottesville area! 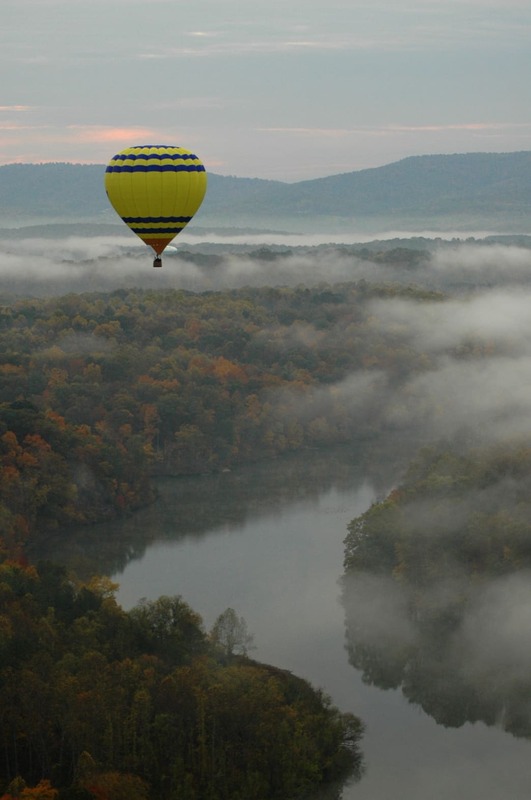 During the fall season you’ll be treated to stunning views in every direction, whether you look west toward the Blue Ridge Mountains, or east toward the gradually flattening Piedmont region. This location is a must for anybody wanting to see some truly remarkable color from a vantage point like no other! 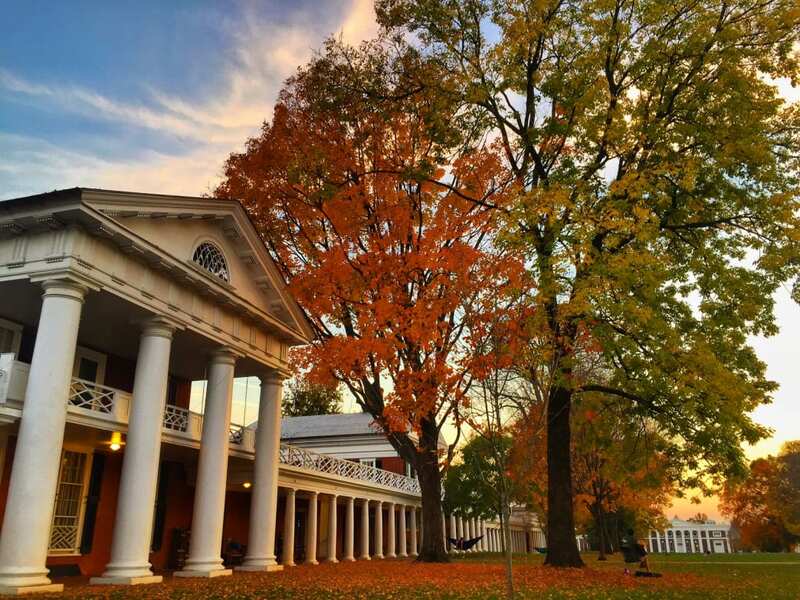 Of course the Charlottesville area offers much more than brilliant fall foliage during the autumn months – there’s a plethora of festivals, events, and many other things to see and do. Be sure to peruse our website for more ideas and inspiration. Of course, you can always stop by one of our two visitor centers (one located on the Downtown Mall and the other in Crozet) to speak with someone in person for recommendations of things to do during your stay. We look forward to welcoming you to Charlottesville & Albemarle County this fall! 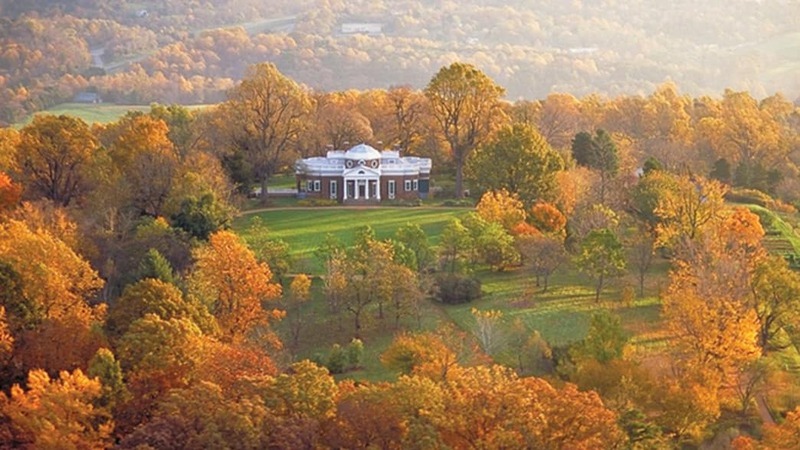 The post 10 Places to Enjoy Dazzling Fall Foliage in the Charlottesville Area! 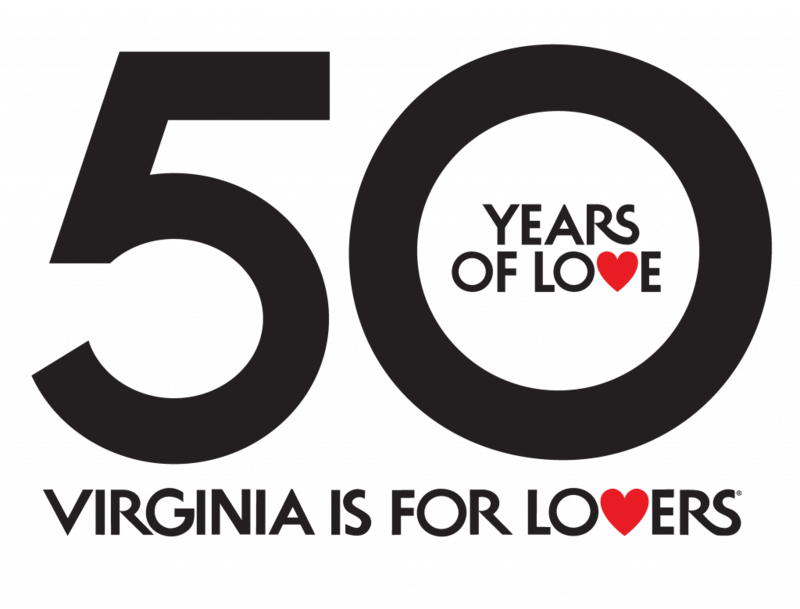 appeared first on Virginia’s Travel Blog.